Installed by professionals and supported for life, that is the Grosvenor difference. 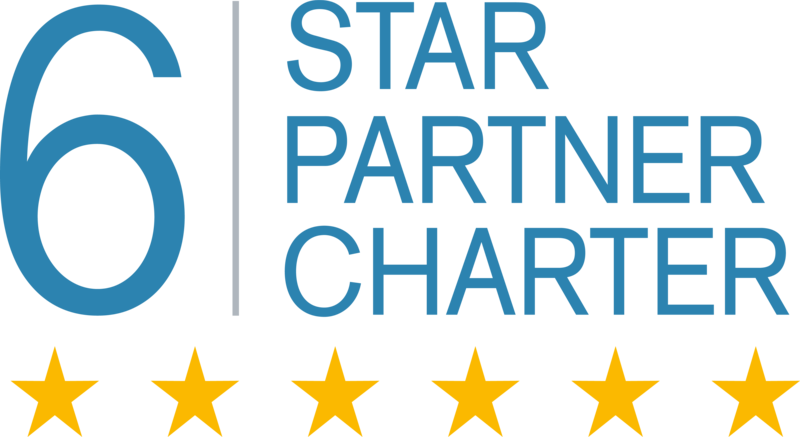 We call it our 6 Star Partner Charter and we urge other manufacturers to follow us. After all, they have been following us for years. By not selling access control through distributors we are able to avoid their mark-up and avoiding the middleman means we can pass these savings directly to you. Dealing direct also means we can guarantee we only supply professional security installation companies, just like yours. Your accreditation means something. It has been hard earned and it carries overheads. You deserve an access control manufacturing partner who recognises this and supplies exclusively to SSAIB and NSI approved installation partners. You tell us how frustrating it is when end-users have visibility of trade pricing as the expertise and skills your company brings is often not considered. You won’t find our prices published on internet auction sites, as we only provide pricing directly to our SSAIB and NSI approved installation partners. Whether you’re adding a new access control user or installing an RS485/IP hybrid system, we’re talking your language; literally. Our technical support team is based right here in the UK, just like our product development team. Whatever kind of support you need, we’re just a phone call away. We don’t sell CCTV, intruder products or fire alarms. Our technical sales team is here to act as an extension to your business, not just take orders. We continually reinvest to deliver the access control solutions of tomorrow, ensuring your business grows by taking advantage of our industry leading innovations. No-one likes nasty surprises, which is why our Software Support Agreements (SSA) offers free software and firmware upgrades, and direct access to our help desk including remote diagnostics . We want you to have the same peace of mind with our products as we do. Access Control as it should be, that’s the Grosvenor difference. Contact us today and let’s make a difference together. If you’d like to find out more information about becoming an installer, fill out the form and we will get back to you straight away.